The Portage Co. Sheriff’s Office has announced its formal partnership with a mobile app designed to help save lives. 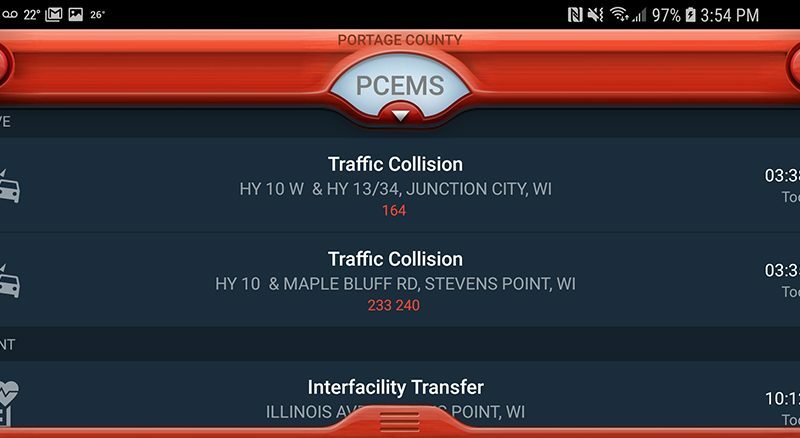 The PulsePoint AED app, available for free download for Android and Apple devices, displays real-time emergencies reported to dispatchers at the Portage Co. Communications Center. According to Sheriff Mike Lukas, the app alerts users of nearby cardiac arrest victims—and the location of the nearest automated external defibrillators (AEDs). otherwise be aware of,” Lukas said in an email on Thursday. Local emergency departments have increased their public education in recent years, with the Stevens Point Fire Department launching a series of community-wide hands-only CPR training in 2015, something it continues today. County officials are holding a formal launch of the new partnership on Feb. 11 at 10 a.m. in the County Annex Building, 1462 Strongs Ave. The public is invited to attend. Metro Wire staff will live-stream the event on Facebook.